Donación Garcia wanted what was best for his daughter Gabriella, so he enrolled her in an English-only classroom and declined his district’s offer to also provide instruction in Spanish, a language his family often uses at home. “We thought she needed English,” said Garcia, whose daughter is now a high school freshman in Portland, Oregon. His intuitive and widely shared belief that English immersion is the best way to learn the language is one of many obstacles to adopting the one approach that decades of research shows actually is the most effective way to help students learn English and catch up academically with peers. Called dual-language, it puts English learners and native-English speakers together in the same classroom and offers instruction in each group’s language for part of the school day. The program can last through high school. Mistaken perceptions that hamper the growth of dual-language programs include the belief that they cost more, or that there aren’t enough English speakers willing to attend classes with English learners. There also are some genuine difficulties, including problems finding qualified bilingual staff and the fact that the model requires continuity and does not work as well when student turnover is high. In some schools, students speak too many different languages to make embracing the dual-language model practical. But school districts across the country that have committed to reaping the benefits of dual-language instruction have found ways to make big gains in the face of obstacles, both perceived and real. The stakes are high. Connecticut, where one of every 10 public school students speaks Spanish as his or her primary language, academic achievement gaps between Hispanic students and their white classmates are among the largest in the nation. Fifth grade students in a dual language class at Rigler Elementary School in Portland, Ore.
One thing is certain, many English- and foreign-speaking families are eager to put their children in dual-lasnguage programs, partly because becoming bilingual makes their children more competitive in the job market or, in the case of foreign speakers, because it embraces their culture and makes them feel more included at school. 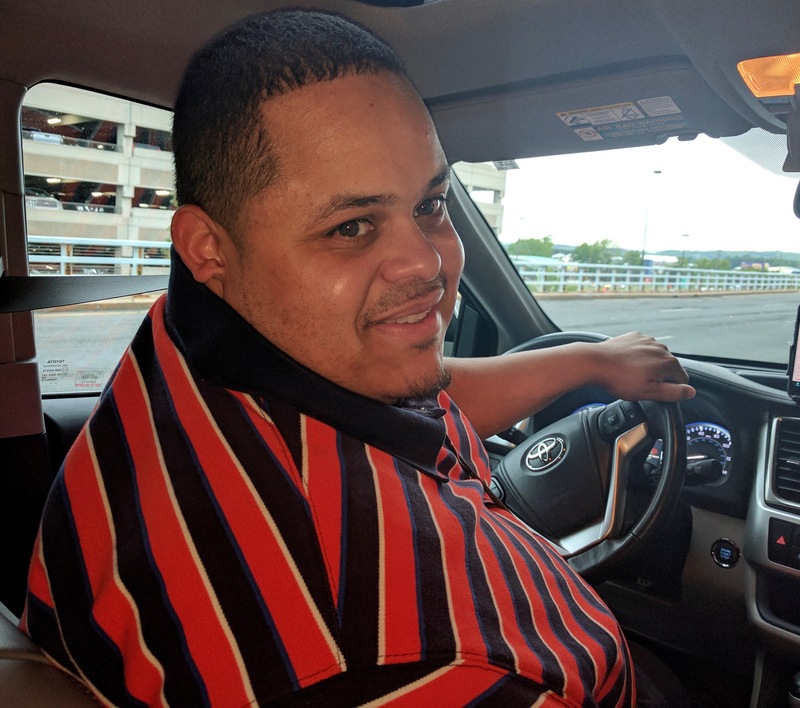 Juan Moñtanez moved to the South End of Hartford from Puerto Rico at age 5. In school he initially was taught in Spanish and English, but the transition to a school day entirely in English was quick. Call it the sink-or-swim approach. That’s because proficiency in conversational English takes three to five years, but academic language proficiency requires four to seven years, studies show. Moñtanez and his wife, who also speaks Spanish, now have two children approaching school age. They have chosen a preschool that uses both languages, despite its being in a less convenient location. “Even if it was 10 miles away, I would have dropped them off, because I want them to learn Spanish,” said Moñtanez. His children’s bilingual instruction will end when they enroll in public school, however. Hartford shut down its eight dual-language programs 10 years ago, and short-term bilingual instruction is offered only in some schools. It’s not just Spanish-speaking parents who want their children to be bilingual. 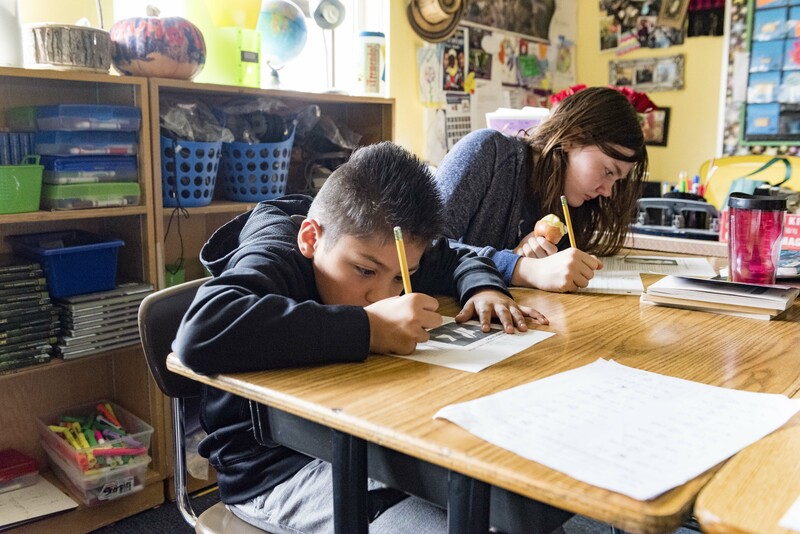 The Portland, Ore., school district – which encompasses impoverished urban neighborhoods as well as affluent city neighborhoods and suburbs – has rapidly expanded the dual-language approach to help close yawning achievement gaps between its English learners and their classmates. The district has a full-time staff person who recruits foreign speakers to enroll in dual-language programs, though she says it doesn’t take much convincing once she explains the program. Last school year, the families of hundreds of both English- and foreign-speaking kindergarten-bound students entered a lottery for seats in a dual-language program. 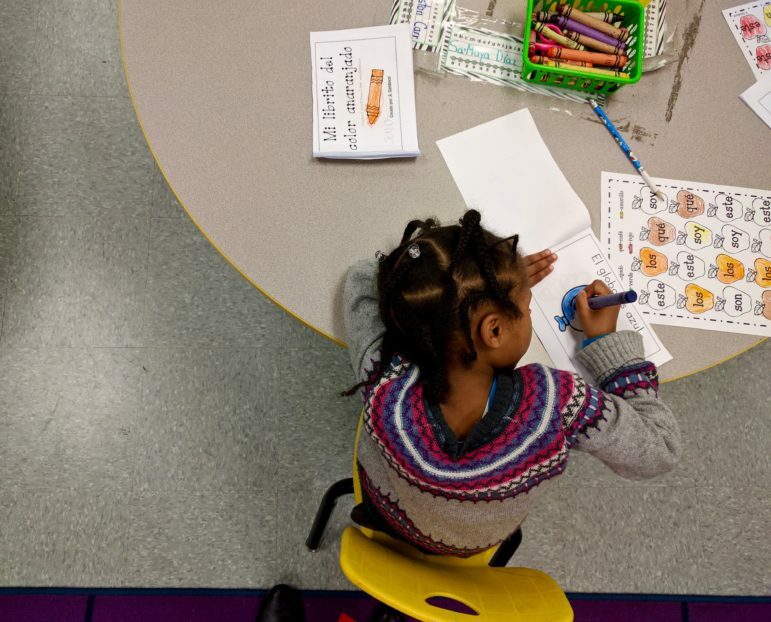 So many better-off parents flocked to Portland’s programs that the district had to make changes to give English learners priority in enrollment. 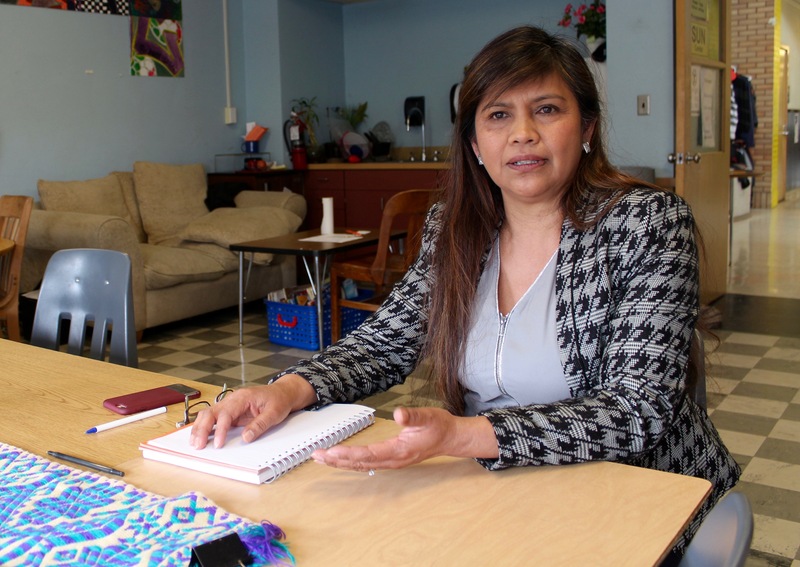 In Windham, a district that has the highest rate of English learners in Connecticut, there are also those who would love to have their children become bilingual. There is a long waiting list to get into the district’s lone dual-language program, and efforts to expand it have so far been unsuccessful. In Connecticut, 7,389 job postings – 2 percent of all posted jobs in 2016 – targeted bilingual workers, according to data culled from a database of 40,000 job sources by the New American Economy, a coalition of business and municipal leaders who support immigration reform. The number of bilingual jobs posted more than doubled between 2010 and 2016. And the listings were for both low- and high-end jobs. Of the jobs posted, 39 percent required a college degree. When it comes to places where the dual-language model has been embraced, Utah stands out. Utah is a conservative state and not one where advocates for bilingual education expected to find a partner. A third of Utah’s dual-language programs are aimed at helping English learners, and the rest help English speakers learn another language. The third targeted at those struggling with English still means Utah has a higher rate of English learners in dual-language programs than any other state, says Gregg Roberts, who oversees the state’s bilingual programs. This school year, 32,000 English learners and native-English speakers are enrolled in 163 dual-language programs in Utah – one in 10 elementary students. In 2009, just 1,400 students statewide were in 25 dual-language programs. Next school year, another 35 programs are opening to keep up with demand. In Connecticut – which has about the same number of public school students as Utah and the same proportion of English learners – just under 7 percent – fewer than 1,400 students are in dual-language programs. So how did this rapid expansion happen in Utah? Leadership from the top, in the person of former Republican Gov. Jon Huntsman, who is fluent in Chinese and a former businessman and ambassador to Singapore and China. While it was sold as an economic development approach, it helped that a large proportion of Utah’s population is Mormon, a religion whose adherents travel on proselytizing missions. It’s while crisscrossing the world that Utah residents gain a broadened world view and empathy for people from different cultures, Eaton writes. Numerous educators in Connecticut say they prefer the dual-language approach, but agree that implementing it requires strong state and local leadership. That can be a problem for the state’s lowest-achieving school districts, where superintendents tend to turn over regularly. And the state education department says it has no intention of encouraging one model over another and will be leaving the choice up to local educators. “Something might have a terrific track record somewhere else, but if it’s not embraced locally, and the people who have to implement it don’t believe in it or don’t understand it, or aren’t supported appropriately, then it might not work,” said Connecticut State Education Commissioner Dianna Wentzell. How is your school doing with English learners? Portland disagrees with Connecticut’s laissez-faire approach, said Debbie Armendariz, senior director of dual language. Some Connecticut school district officials say the state should do more to encourage and help implement bilingual instruction, in line with state law. “We are a bilingual-mandated state, so our first push and approach should always be to use the native language to accelerate English learners academically,” said Mary-Beth Russo, Hartford’s English-learner coach. The state should change some of its practices, she said, to recognize the research showing it takes years before the dual-language approach produces academic rewards in student outcomes. That’s because students need to be strong in their native language in order to improve their English. 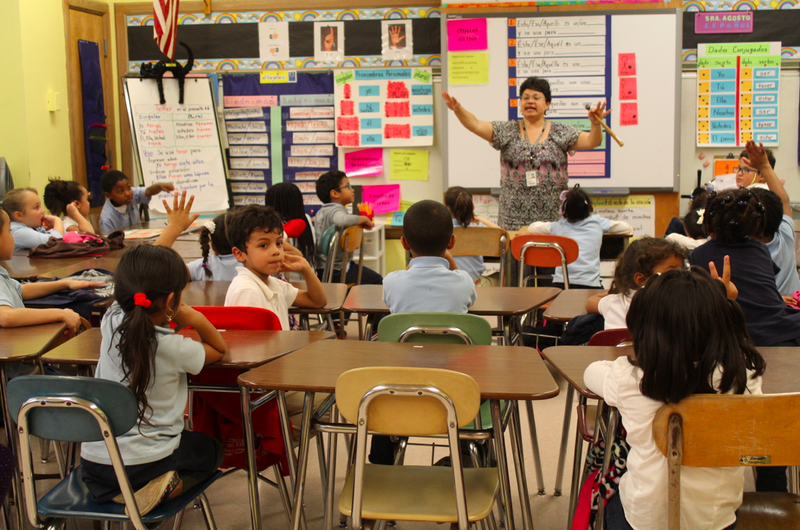 The toughest challenge in expanding bilingual instruction is a shortage of qualified teachers. It has been an issue nationwide for more than a decade. In Connecticut, the state has identified a shortage of bilingual teachers every year since 2004. In 1999-2000, there were 563 teachers working in bilingual classrooms in Connecticut. This school year, there are just 227 – a 60 percent drop despite an influx of nearly 17,000 additional English learners. Last school year, one-third of the openings for bilingual teachers were left empty because no one qualified applied. The problem will only get worse unless something changes. The education department reported in 2015 that nearly half of all current bilingual teachers will be eligible to retire over the next five years. Meanwhile, the state’s teacher colleges typically graduate only about 30 qualified people each year. The state has cut or eliminated funding for programs that provide alternative, quicker routes to bilingual certification. The lone remaining program providing a non-traditional route to bilingual certification has produced eight teachers since 2011. Wentzell said the teacher shortage could be ameliorated if district leaders checked the credentials of their existing staff. She said half of those certified to teach bilingual classes are not actually working in a bilingual classroom. Teddy Lopez is one of those teachers who is qualified to teach in a bilingual classroom, but his school in Norwalk does not offer dual-language education or any other bilingual program, even though Spanish is the dominant language of 245 students – one-third of those at Ponus Ridge Middle School. Instead, he teaches in an English-immersion classroom to help students who speak various foreign languages understand enough English to join a mainstream classroom. 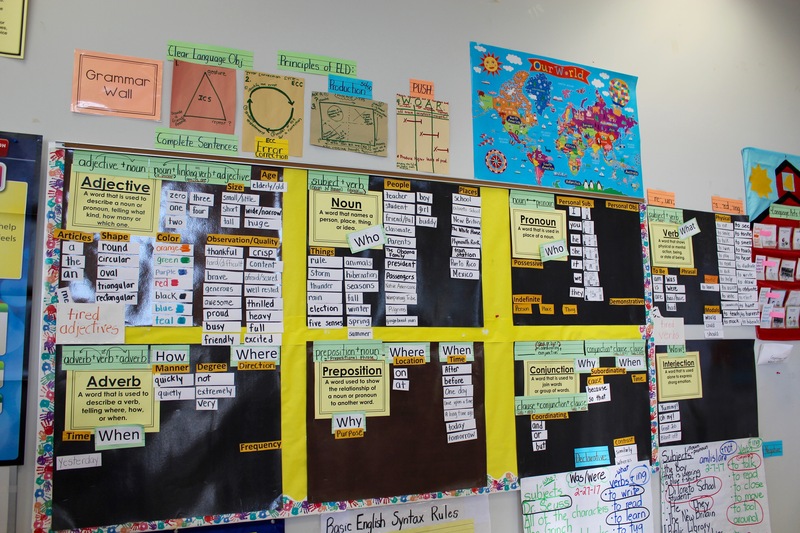 Norwalk did come up with a solution to double the number of dual-language participants at another school, Silvermine Elementary. The school pairs bilingual and English-speaking teachers to work with the same group of students. In the morning, half the students are taught in Spanish while in the next classroom students are being taught in English. After lunch, the students switch classrooms — and teachers. Wentzell said districts also should consider providing incentives for becoming a bilingual teacher. “I do think individual districts should explore ways to fill their hard-to-fill positions through providing incentives, obviously within the bounds of their individual collective-bargaining agreements, because sometimes you can’t do that, and sometimes you can,” she said. Such incentives are unusual in union contracts, however, according to data compiled by ConnCAN, a New-Haven based advocacy group. According to the group’s teacher contract database, 25 school districts – 14 percent of the state’s districts – offer additional hiring incentives for teachers who can fill high-need, hard-to-staff positions. Those incentives range from one-time hiring bonuses to higher starting salaries. Partial forgiveness of student loans – typically a couple of thousand dollars but up to $17,500 – is the only effective financial incentive the federal government provides for those who go into hard-to-fill teaching positions. The state offers a low-interest home loan program for teachers that favors hard-to-find specialties and impoverished districts, but its attractiveness has been diminished because low mortgage rates are now available to everyone. Others blame the big decline in bilingual teachers on a state law that requires them to have two certificates — one in bilingual education and one in either elementary education or a secondary school subject area. “In Connecticut, we are cutting the program off at its knees,” said UConn’s Howard, who notes the second certification tacks on about 30 credit hours of course work. One solution would be to change the state law that requires dual certification. Another, said Howard, is to scale back some of the courses unrelated to the bilingual track. “If we reshuffle their courses, then they can leave with both,” says Howard. Wentzell said Howard’s idea might not be widely shared in academia, howerver. “Frequently it is not higher ed’s position that we should reduce the requirements, since the requirements are all classes they take at their places,” she said. Another needed change, said Helen Koulidobrova, who specializes in linguistics at Central Connecticut State University, is eliminating a loophole that allows a district to hire a tutor instead of a certified bilingual teacher. All these staffing difficulties make it harder for districts, like New Haven, that want to expand dual language. Statewide, dozens of bilingual classes are taught by people who do not meet the certification requirements. Portland, faced with its own shortage of bilingual teachers, has looked for ways to create more of them. For years as Portland expanded dual-language programs, the district would scramble to find teachers, and 12 to 15 positions would go unfilled. 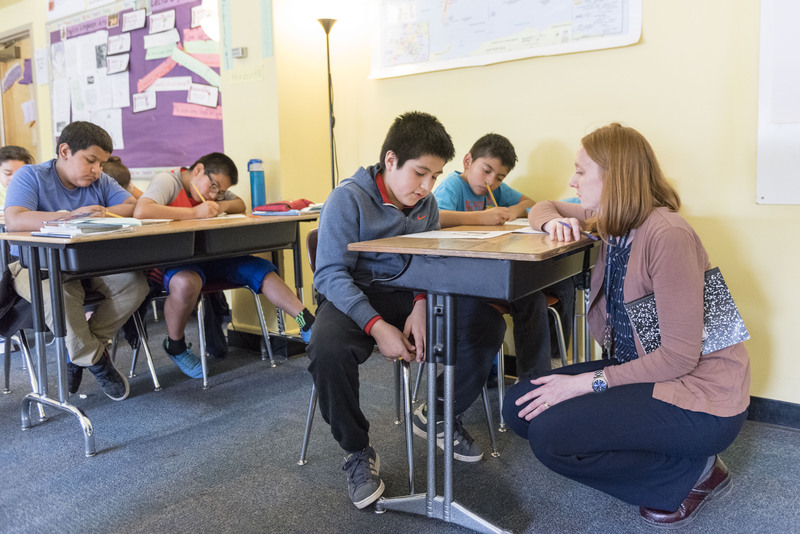 The district now has a bench of bilingual substitutes to draw from, thanks in part to a new partnership with Portland State University. Instead of waiting for teaching candidates to come to them, the district began recruiting bilingual people with a bachelor’s degree to go back to school for a master’s degree to become a teacher. Recruits included people already employed by the school or the college in non-teaching jobs. 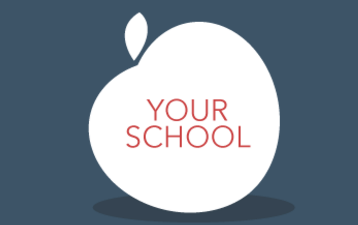 The district pays for college application costs, testing to prove proficiency in another language, a citizenship test all teachers take, and licensure fees, all of which can add up to hundreds of dollars. Once candidates are in the master’s program at Portland State, they can apply to teach in the classroom full-time, which typically means a significant bump in pay. These teachers-in-training are teamed up with mentors. Several students in the program said they had never gone back to school because they just couldn’t juggle everything. “I like all the support this program gives,” said Li-Ching Chiu, who is studying to become a dual-language teacher for Chinese. Portland is counting on this new pipeline. Just over 40 students are currently in the program. This school year, 42 percent of the district’s kindergarten English learners were in dual-language programs, and district leaders would like to see that increase to 75 percent. 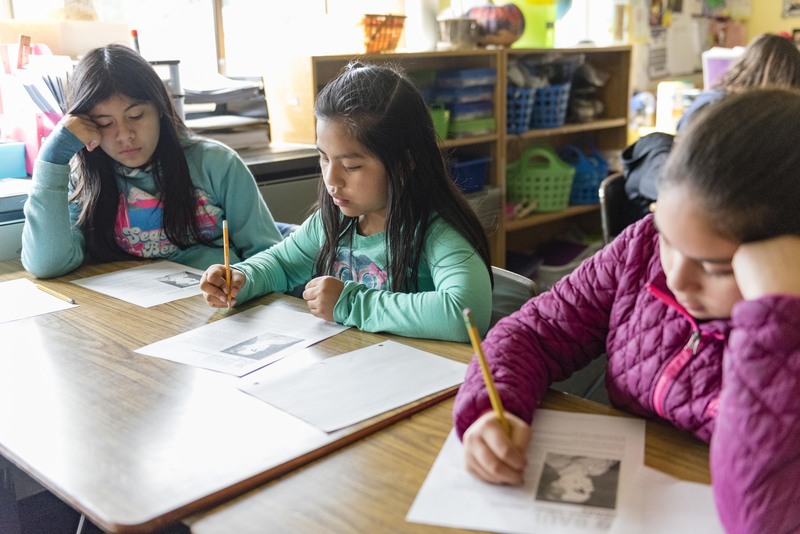 It’s too soon to tell what impact this reimagined route to getting bilingual teachers into the classroom will have on student outcomes, but Yank of Portland State said outside researchers already are asking to study it. Utah’s experience shows that strong dual-language programs do not need to add tremendous costs. To entice districts to set up dual-language programs, Huntsman pushed the legislature to provide schools an extra $10,000, on average, to cover expenses for teacher recruitment and supplies. That equated to about $100 for each student. The legislation passed on a unanimous vote. Many districts signed on, and the state now spends $3.5 million annually on programs where students spend half their day being taught in English and the other half in either Chinese, French, German, Portuguese or Spanish. A sign at a dual language School in Portland. 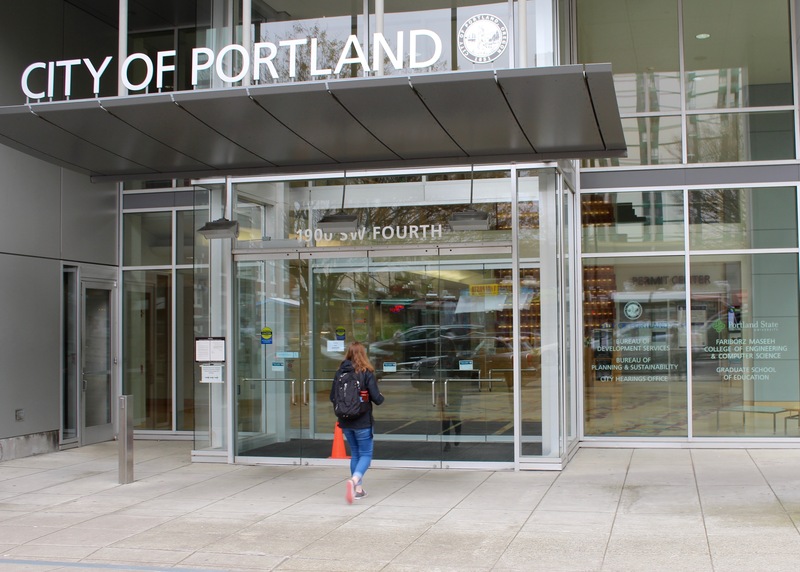 The extra costs of dual-language programs in Portland are nominal. The district has to buy books, supplies and hire teachers regardless of the type of program. Researchers who studied the district found that dual-language operating costs were $11,812 per student, on average, or $137 more than for other students. Teachers were of the same quality. “If anyone is thinking, ‘Oh, that’s just the Portland bubble out there – no, it’s really not,” said Bacon. He pointed to Delaware and New York City, which also have expanded dual-language programs. “It’s happening right in your own back yard, Connecticut,” he said. There has been some pushback to these programs in both Portland and Utah. Education officials countered with a campaign to win public support and to assure teachers no one would be fired to open new dual-language programs. “Public opinion conitnues to slowly change as a result of the continued efforts of supportive school administrators, teachers, and parents who raise awareness of the program, its goals and its results,” Leite and Cook wrote. “I think dual language is a lifesaver for our English learners. What about everyone else?… Resources are so strapped here in Portland Public Schools. Despite the research, many individuals and policymakers have seen bilingual education as a question of social integration and national identity as much as language development. 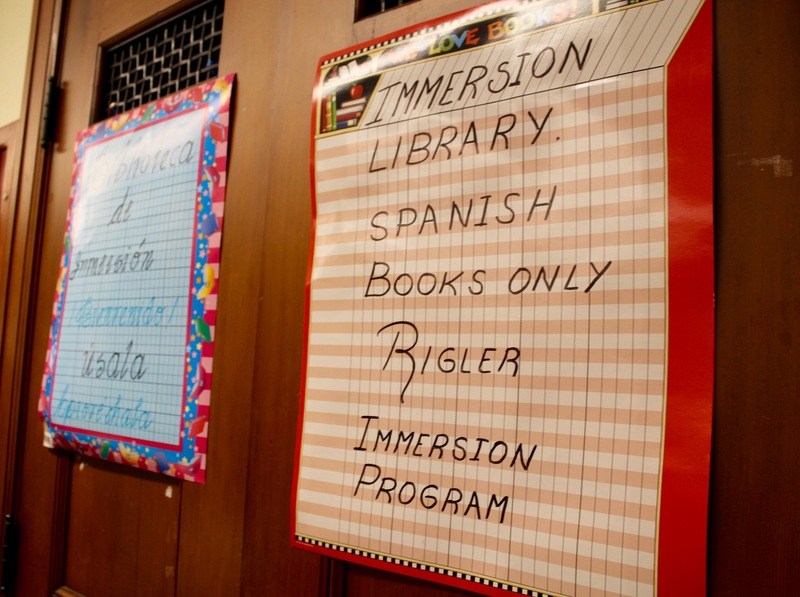 Voters in Arizona, California and Massachusettes in the late 1990s and early 2000s banned bilingual instruction in schools, though some loopholes allowed a few dual-language programs to operate. That sentiment is shared in Connecticut. “We do a disservice to immigrants when we make it too easy to speak their native language. It delays their integration into American society and therefore their and their children’s ability to succeed in the U.S.,” David F. Parry, of Windham, commented in an op-ed last week on the research cited in the first article of this series. New Britain shut down its two-school, dual-language program in 2012. Opinions differ on why. New district leaders weren’t believers in the dual-language model and favored English immersion. Bilingual advocates say far too many English learners were put in the program with too few English speakers, making it ineffective. New Britain is now a convert to English immersion. “Imagine you were learning how to golf, but refused to swing the club. You would probably remain a very poor golfer. Unfortunately, this is analogous to the experience of many English learners,” teacher training materials said when the district rolled out its new approach. 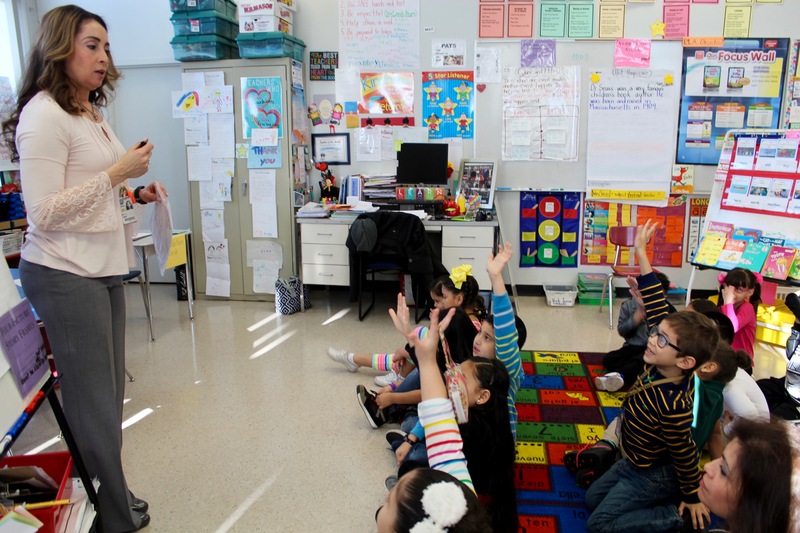 On a recent afternoon, Jessica Otero was teaching first-grade English learners in one of New Britain’s English immersion classrooms. Students are expected to speak in full sentences and any errors are corrected on the spot. “Today, we will write complete sentences in the past tense about Dr. Suess,” she told her class, and pointed to the Grammar Wall nearby describing the parts of speech. “Who is the who? What is the pronoun that can take the place of Dr. Suess,” she asked her students. It’s too early to judge the success of the program. Aram Ayalon, who was on the local school board and the lone vote against moving to the English-only approach, said he hopes the board reconsiders . “I hope they see the light,” he said. California reversed course last fall and threw out its English-only policy. 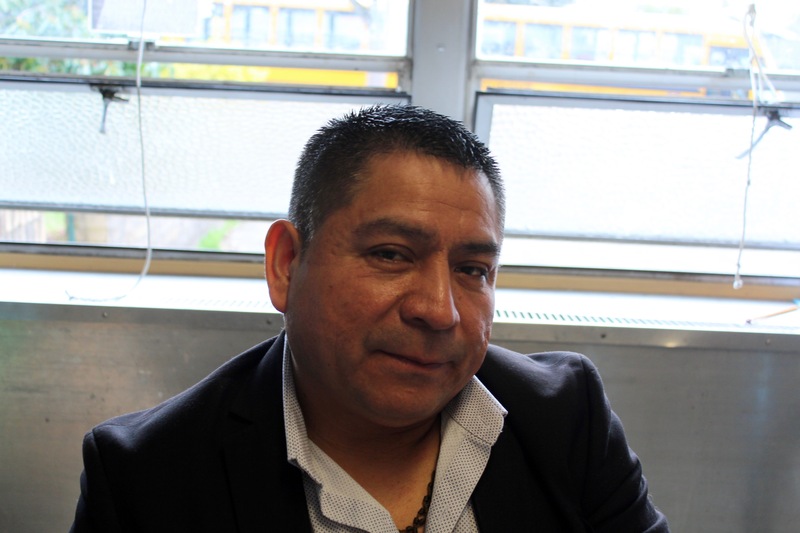 For non-believers, Portland has hired a full-time person to pitch the program to the parents of English learners like Garcia, the father who put his daughter in an English-only classroom. Yolanda Morales helps explain the dual language programs for Portland parents. Garcia quickly realized his daughter was better off in a dual-language program and put her in the lottery for a seat in the program. She and his two other children went on to win seats in bilingual programs. Read The Mirror’s coverage of English learners here. Join the conversation: Opinions differ on whether bilingual education is the right approach. Let us know what you think. Weigh in by submitting your opinion here. The Mirror’s exploration of ways to close persistent gaps in educational achievement is supported in part by a grant from the Solutions Journalism Network and the Nellie Mae Foundation. View more of the projects they have funded here. The Connecticut Mirror retains sole editorial control over the content of this coverage.